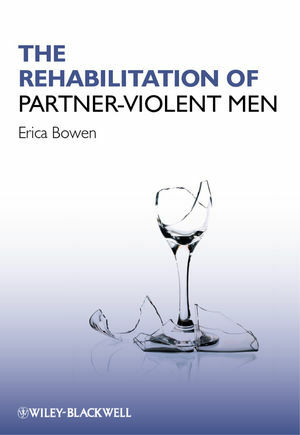 Drawing on an extensive body of literature, The Rehabilitation of Partner-Violent Men presents an historical account of the policy changes that have led to rehabilitation programmes for male perpetrators of intimate partner violence within the criminal justice system. Erica Bowen is Senior Lecturer in Psychology at Coventry University. She has written widely on issues relating to the area of domestic violence. The Nature of 'Domestic' or 'Intimate Partner' Violence. Are men the only perpetrators? A typology of domestic violence. The Extent of Intimate Partner Violence. The Impact of Intimate Partner Violence: The Reason to Intervene. Rehabilitation and Intimate Partner Violence. 2. Changes to the Criminal Justice Response to Partner Violence. Attrition in the Prosecution of Partner Violence Cases. Factors influencing victim support of prosecution. A Changing National Policy Context. Partner Violence within the Criminal Law. Changes to the policing of partner violence. Changes to Crown Prosecution Service (CPS) policy. Changes to the Court System. Specialist domestic violence courts (SDVCs). So Have These Changes Improved the Response to Partner Violence in the UK? The impact on reporting incidents of partner violence. The effects of CPS policy and specialist domestic violence courts. The Overall Impact on Attrition. 3. Theories of Intimate Partner Violence. Anger and Hostility Models of IPV. Alcohol and Drug Models of IPV. Summary of single factor theories of IPV. Nested Ecological Theory 69 Summary and Conclusions. 4. The Development of Group-Based Programmes for Male Domestic Violence Perpetrators. Changing Perspectives on the Causes of IPV and Approaches to Intervention. The Inception of Men's Programmes. The Expansion of Men's Programmes. The Duluth model: a change of emphasis. British Developments in the Provision of Men's Programmes. 'What Works?' and the Move Towards Accredited Programmes. The 'What Works' Movement and Domestic Violence Perpetrator Programmes. 5. Current Practice: The Risk Assessment and Management Context. The Multi-Agency Risk Management Context: MAPPAs and MARACs. Multi-agency public protection arrangements (MAPPA). Multi-agency risk assessment conferences (MARACs). The intersection of MAPPA and MARAC. The nature of IPV risk. Risk factors for non-lethal IPV. Risk factors for lethal IPV. Current Approaches to IPV Risk Assessment. 6. Current Practice: Programmes for Partner-Violent Men. Overview of CDVP and the Moderate Intensity Healthy Relationships Programme. Overview of the High Intensity Healthy Relationship Programme. Critique of the Programme Theories. How Do the Programmes Differ? The Empirical Validity of Treatment Targets. Cognition: Denial, minimization, victim blaming and cognitive distortions. 7. The Effectiveness of Programmes: Issues in Programme Evaluation. Which Evaluation Questions should be Asked? What should be Evaluated? What Research Design should be Used? What Methods should be Used? What is Good Practice in IPV Programme Evaluation? 8. The Effectiveness of IPV Programmes: International and National Evidence. Meta-analytic studies of programme effectiveness. The domestic abuse intervention project (DAIP). The Cheshire domestic violence prevention programme (CDVPP). The West Midlands Probation domestic violence perpetrator programme (WMDVPP). The integrated domestic abuse programme (IDAP). Emergent Themes from the British Evaluation Evidence. Summary. 9. Evaluation Issues: What Else should We be Considering? Needs Assessment: What is Domestic Violence and Who are the Perpetrators? Validating programme theory: Do programmes target criminogenic need? Implicit assumptions of programme theory: Do all members of the target population have the same needs? Motivation to change: selection criteria or treatment target? Assessing Programme Process: Is the Intended Treatment Delivered? The Future Understanding of IPV: A Move towards an Evidence-Based Definition. The Future of Programme Development: What are the Alternatives? The Future of Evaluation Research. Does the Future Lie in Tertiary Interventions?